Pros: Good performance, plenty of expansion slots, no major compatibility issues. Cons: The onboard RAID controller, when set to RAID mode, accesses disks in SATA I mode. Using eSATA external connections can lead to system instability and strange symptoms. I believe that is a function of the specification itself rather than how Abit has implemented it. UPDATE 2/19/2018 - I found this motherboard in a box of parts on the floor in my party room. I realized that I was one case and one power supply short of a complete computer. I acquired the needed parts and assembled a working machine. In short, the Abit board is still going strong after 11 years. In my experience as an IT professional, it's unusual to have even server-grade hardware last that long. I'm very impressed with this board and have no regrets about buying it. It served me very well. Pros: It is still working great!! I had a video card issue where the computer kept freezing 1/2017. Reseated the EVGA GTS8800 320MB and problem solved. The Q6600 2.4 is stable and still works good. 8GB of Micron Ballistix memory. Samsung 512 GB 850 PRO SSD. 4 other Hard drives in RAID 2 mirror , 2 striped.. 1 Plextor DVD Burner. Windows 7 Ultimate 64bit. Zalman 9700 fan. Seasonic. I think I did replace the power supply. Pros: Works great. It's still alive! Other Thoughts: At long last, upgrading to z710a mobo today! Running Win7 Ultimate, but runs Win10 Pro just fine. This board has not failed me yet. My Dell i5 notebook with platter HDD can't come close to these numbers! ABIT as a company is defunct -- too bad, this is a great board; their old 440BX chipset BE-6 board was excellent too. Company closed doors in 2009 - no more drivers after WinXP. Other Thoughts: I'll keep using this until it dies. Best motherboard I've owned to date of the probably 10 computers I've built. Pros: This Board Has Been Great. Currently has a Geforce GTX 560 TI. Have Two WD Velociraptors In Raid 0. Windows 10 Working On It With No Problems. 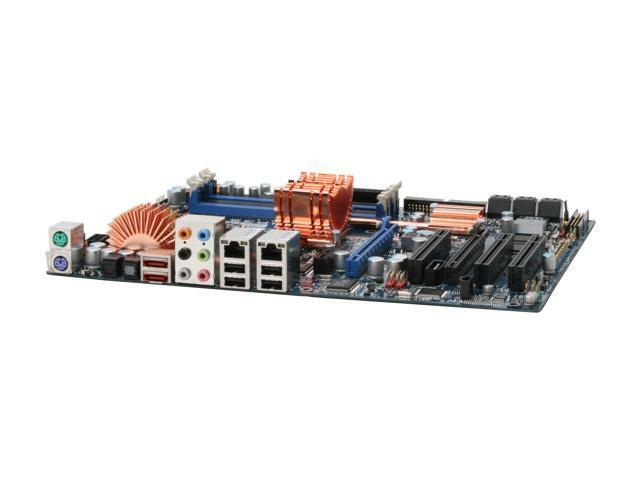 Other Thoughts: Currently Have This Board In a Modded XPS 720 Case as part of my Retro Windows XP Build. Pros: This thing has been rock solid for over 6 years. Original Q6600 oc'd to 3.4ghz w/ Tuniq Tower - has been oc'd at this speed the entire time. Other Thoughts: I'll probably die before this thing does.